Student Exchange Program – K.N.P.S.V. The Student Exchange Program (SEP) is a mobility program of IPSF that offers pharmacy students the opportunity to take a look at pharmacy across the border. The program can take place in different sectors of pharmacy, such as in a public pharmacy or hospital pharmacy, in industry or research. The SEP usually takes place in the summer period for a month. During the SEP you will become acquainted with the pharmacy in one of the nearly 50 participating countries. 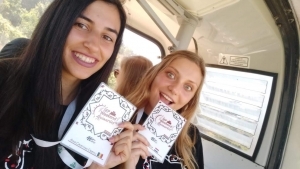 Often social and cultural activities are organized by and for the students, so there is a chance to get to know (bio) pharmacy students and to discover the city. The SEP is meant to be a sort of snuffelstage (a one-day internship program from the K.N.P.S.V.) in Groningen it is possible to get credits for it. It is a unique opportunity to broaden your horizons, improve your language skills, learn to communicate and adapt better, and of course it is looks good on your CV. Moreover, it is a nice combination of studying and being on vacation! Each country has its own Student Exchange Officer who coordinates the program. In the Netherlands, the SEP is coordinated by the commissioner of foreign affairs (CB) of the K.N.P.S.V. He or she seeks SEP places in the Netherlands for foreign students and tries to place Dutch students abroad. In addition, the CB organizes activities for foreign SEP students in the summer, often in collaboration with the IC, to introduce them to Dutch student life and to Dutch culture. If you study in Groningen and want to go to a country where the RUG only has a few contacts, it is possible to do an internship in the country of your preference via SEP. This is possible via the optional Internship abroad. The entry requirements are that you have completed your bachelor’s and have completed the subject Stage Apotheekorganisatie. The SEP internship for subject Stage Buitenland takes six weeks and there are a number of extra assignments. You must learn and write about what you have seen, learnt and done, on a personal and professional level. The following countries offer a six week internship for shure: Portugal, United States, Taiwan and Egypt. If you are interested, contact the commissioner of foreign affairs via commissairebuitenland@knpsv.nl and the coordinator of Internship Internship: mrs. E Sehagic via e.sehagic@rug.nl. Do you want to know more about the possibilities of the Student Exchange Program or do you want to apply immediately? Send an email to commissairebuitenland@knpsv.nl. There is a limited number of places each year. If you are interested, you have the best chance of success if you register immediately after the summer holidays and indicate your preferred country and sector. Applying earlier is possible too! Netherlands to study College of Pharmaceutical Sciences. Apart from doing an internship in one of the Portuguese laboratories, I got to know people from all around the world and travel hundreds of kilometres whilst discovering Portugal. Visiting the wine cellars of Sandeman was an absolute must, since that is what Porto is famous of! Crossing the Dom Luis I Bridge designed by Gustave Eiffel to go to the Morro Garden located in the nearby city – Vila Nova de Gaia to enjoy the sunset, became one of our favourites activities! 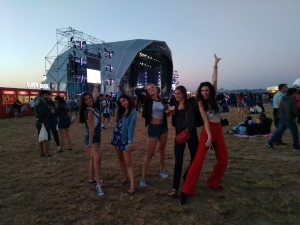 One weekend, the exchange officers throughout Portugal organised a “SEP weekend”, where all of the exchange students in Portugal went to Guimarães – the city where Portugal was born. We all had an unforgettable time full of activities! The Portuguese student association APEF did their best to make us feel at home! I cannot describe how grateful I am to have met them on my way! The most important thing I have discovered in Portugal is that there is no such thing as too much Sangria, you should start every day with a cup of coffee and Pastéis de Belém, and that I should take an extra suitcase to bring back as much port wine as I can next time I visit Portugal!